We absolutely love the Snappi diaper fastening tool! 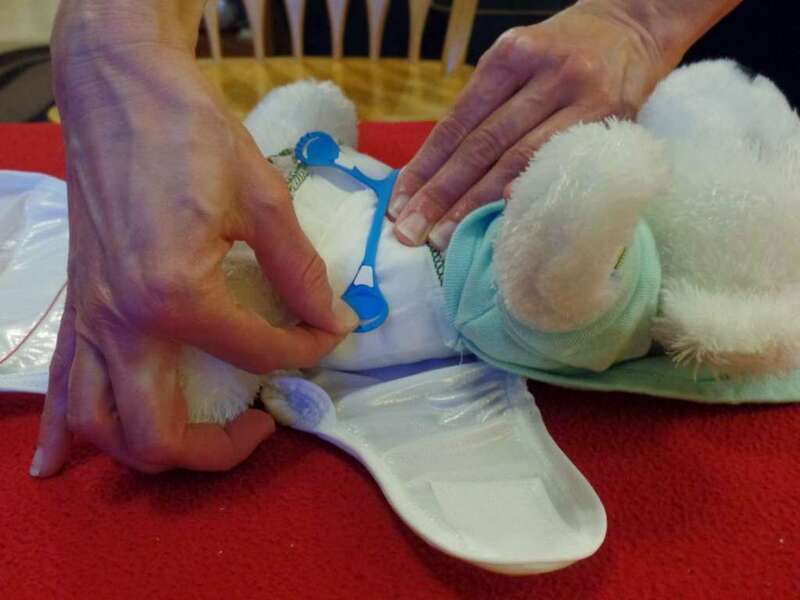 The Snappi allows you to create a snug fitting diaper that will prevent leaks & blow-outs! Its t-shape & stretchable arms hook & anchor easily into your prefold diaper’s fabric in few quick steps. The Snappi is safe! It was designed to prevent you and your baby from experiencing those painful pricks that are associated with the old style diaper pins of the past. First, pre-load your diaper cover with your prefold diaper. 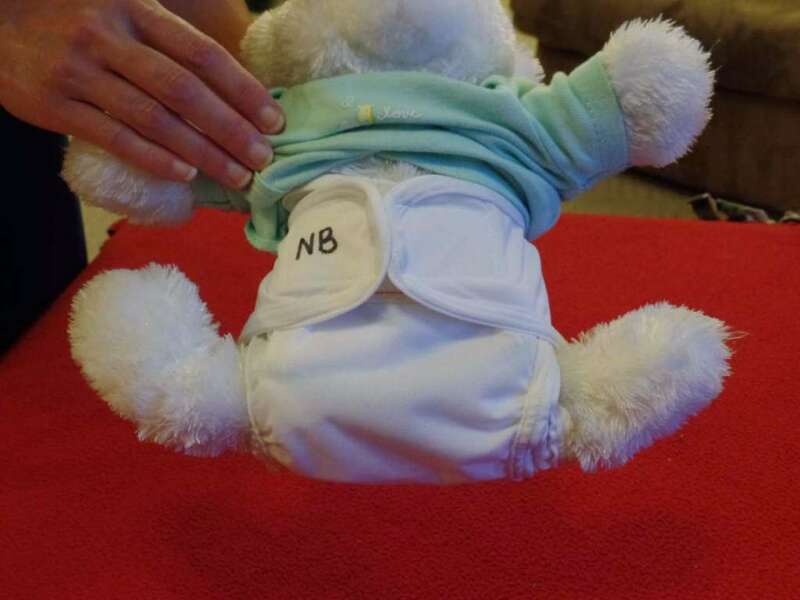 Be sure to create cloth tabs by pulling out the right & left corners of your diaper as shown in the picture below. Fold down the front of the folded diaper so that it fits within the cover. Place your baby on top of the cloth diaper in cover. Pull the front of the cloth diaper up between your baby’s legs so that it rests on your baby’s waist. Pull the right cloth tab over the top of the diaper portion that was pulled up to your baby’s waist. 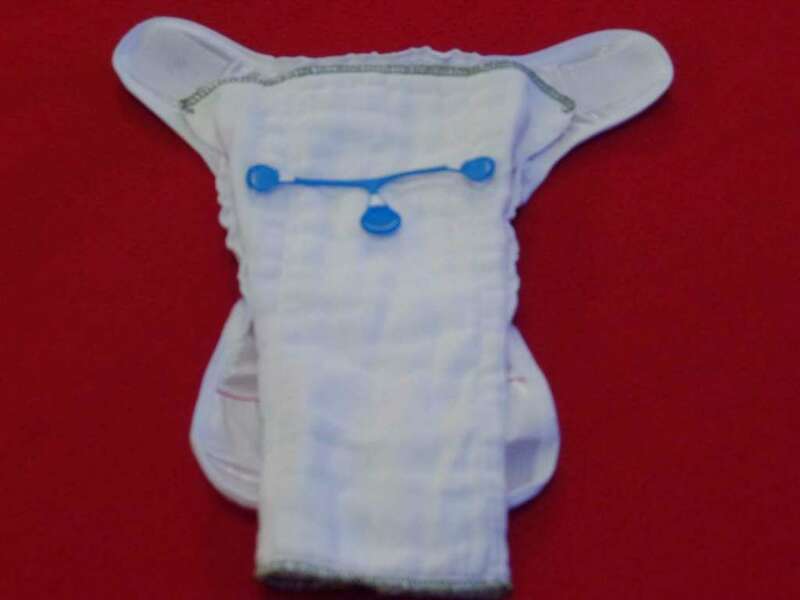 Pull the left cloth tab over the top of the diaper portion that was pulled to your baby’s waist. Both cloth tabs are now positioned on top of the diaper portion that was pulled up to your baby’s waist. Start fastening your Snappi to your diaper. Begin by attaching the Snappi to the cloth on left tab. 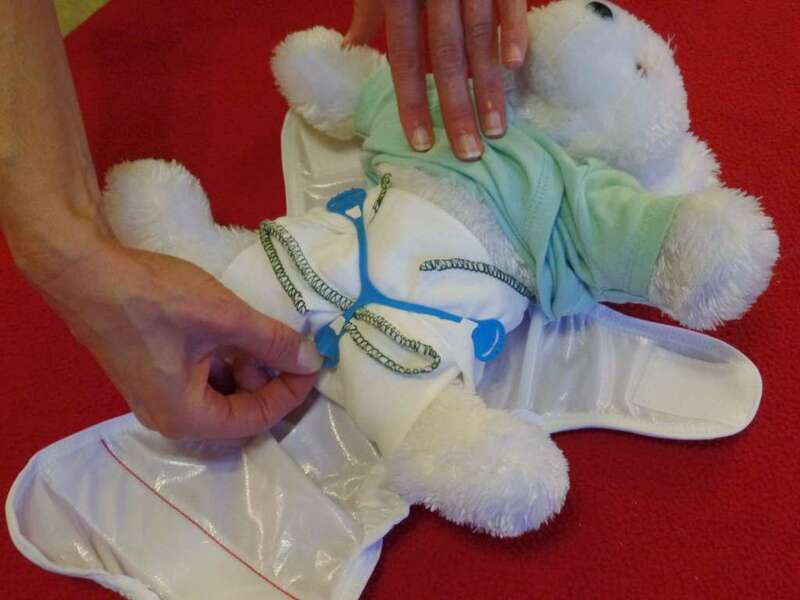 Pull the right side of the Snappi fastener across your baby’s waist and attach it to the cloth on the right tab. Anchor your Snappi by pulling the center Snappi fastener down. Attach it to the cloth between your baby’s legs. Your prefold diaper is now securely fastened around your baby’s bottom. This picture gives you a “back view”. Look at just how snuggly your prefold will be fastened around your little one with the Snappi tool! 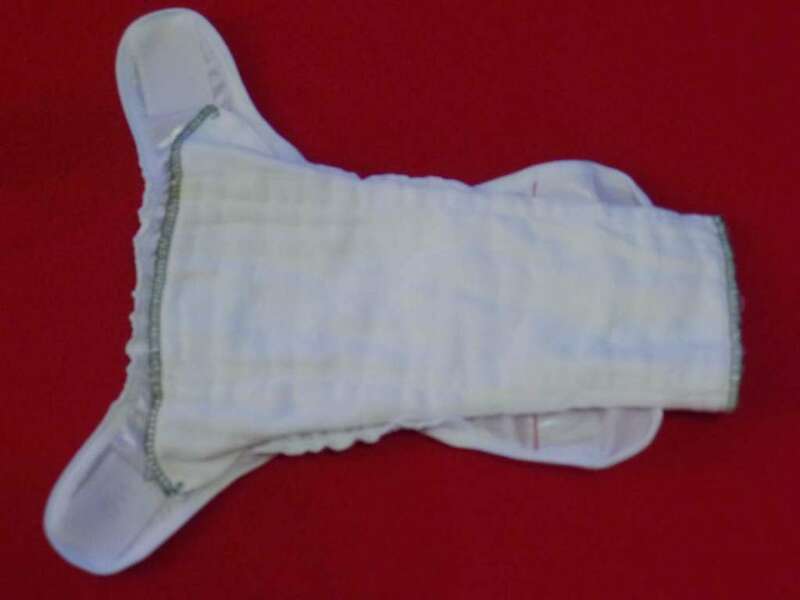 Lastly, place your diaper cover on over the top of your fastened prefold diaper. Snappis are inexpensive little tools that make cloth diapering even easier! Interested in adding a Snappi to your next diaper service order? If so, send us an email or give us a call at 608-251-2229 & we will get one out to you right away! And, as a little side note, instructions on “How to use a Snappi” are included in our In-Home Cloth Diapering Tutorials for new customers!